The quick, easy and safe way to prop open every door! In less than a second your door is securely held open. Great for all types of commercial needs! When you need your doors to stay open, Doorprop is your go-to tool. 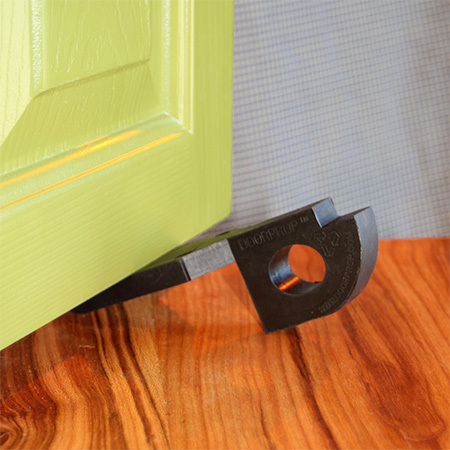 Crafted of the highest quality rubber, the Doorprop is an innovative door stop design created to be a simple, sturdy and long-lasting way to keep your doors open – safely and securely. With two models for either commercial or residential needs, the Doorprop offers a hassle-free way to quickly and efficiently keep your doors open. 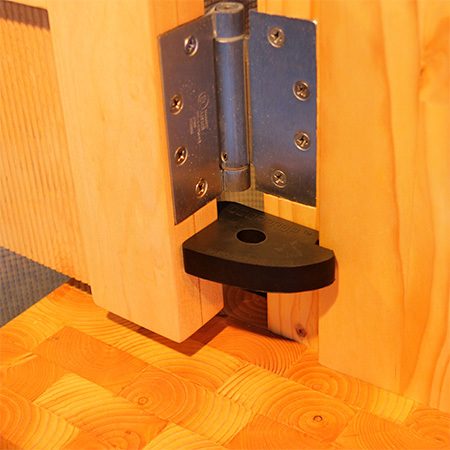 The Doorprop can be put into a door at any height and will keep the door open at a 90 degree angle. You never have to bend over to use it! Whether you’re in a professional industry such as hospitality, cleaning, moving, medical or educational, or just need a way to keep the door open while taking in your groceries, the Doorprop will quickly become an indispensable tool. Make life easier with a doorstop that’s quick and simple to use and won’t damage your door! The Doorprop inserts into your door at any height in a number of positions allowing your door to stay open at a 90 degree angle. With two models for either interior or exterior doors, you can find the perfect Doorprop for your needs!